Our medically advanced facials and our professionally trained aestheticians and massage therapists are here to help you to achieve and maintain healthy, radiant and youthful looking skin. Whether for an hour or several hours, spending time at Coastal Skin Care Day Spa will offer you tranquility, rejuvenation… and amazing results!!! We have created a new Spa Membership Program where you can get regular treatments at a discounted price. Ask the staff at Coastal Skin Care Day Spa how you can take advantage of this Special Program. Please browse all of our day spa services here. If you have questions or cannot find a particular service please call us at (805) 641-2345 or email us at info@coastalskincare.net. To set up appointment times for any of these services please call us or fill out our online appointment form. Prices subject to change. Microblading is a process that may be used to improve or create eyebrow definition, to cover gaps of lost hair, to extend the eyebrows, or may be used as a full reconstruction if the brows have little/no hair. Each microblading stroke is applied individually, allowing the artist/beauty therapist to control the shape, color and density of the completed eyebrows. The technique of implanting pigment after the creation of fine incisions in the skin may date back thousands of years, but the trend towards using the technique for eyebrows emerged in Asia and was known as feathering or embroidery prior to becoming known as microblading. Microblading is performed by depositing pigment superficially in the upper region of the dermis with the use of a hand tool with attached needles fused together in a curvilinear grouping, and may involve the use of a machine with a specially devised hygienic needle cartridge. 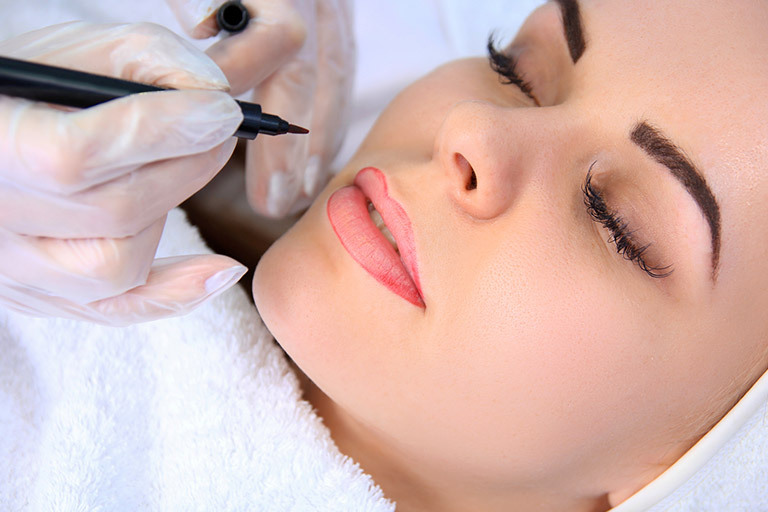 Similar to permanent makeup brow treatments using a machine, the microblading technique involves drawing individual, crisp hair strokes that can be very natural looking. The needles used come in a variety of diameters so that the thickness of each individual hair stroke can be customized to each client depending on the width of their natural hairs as to make the microblading process look more natural. Technicians usually use topical anesthetics to limit discomfort and consequently like all forms of cosmetic tattooing if performed correctly the procedure causes minimal discomfort. The initial appointment includes consultation and initial application. The second appointment, 4 to 6 weeks later, is to touch up and ensure longevity of the colors used. The 2nd application ensures that the micro-pigments are healing properly and responding well. Microblading, although semi-permanent, lasts between 6 – 18 months if proper aftercare instructions are maintained. 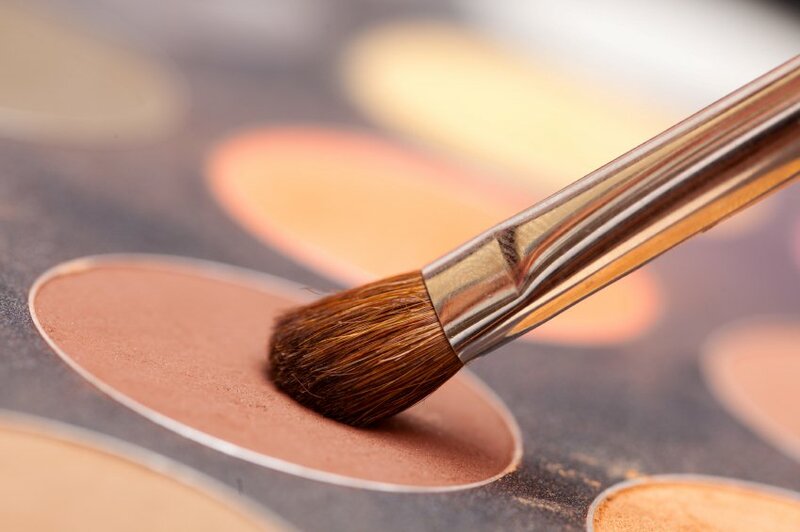 In order to keep the color crisp, a touch-up service is required up to every 2 years depending on the individual’s skin and how well it holds the pigment. These medically advanced facials are designed with both women’s and men’s skin care needs in mind. Our trained aestheticians are here to recommend the facial treatments and products that are best suited for you to achieve and maintain healthy, radiant, and youthful looking skin. 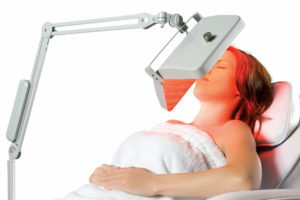 LightStim LED light therapy delivers light energy in a similar way plants absorb light energy from the sun. LightStim emits UV-free, beneficial light rays that energize cells and stimulate the body’s natural process to build new proteins and regenerate cells. LightStim for Wrinkles penetrates the epidermis layer of the skin, stimulating your skin’s natural ability to produce collagen and elastin and reduce inflammation, speed healing, increase circulation, and destroy bacteria. 5 Phase Firming Facial with Micropeel is based on natural marine and herbal ingredients to invigorate, lift and firm mature skin, providing advanced skin repair. The treatment provides an instant trigger to young looking skin. Long term benefits to preserve elasticity, improve oxygenation and help prompt cell renewal. Plastic Surgeon Recommended. NEW!! The only hydradermabrasion procedure that combines cleansing, exfoliation, extraction, hydration and antioxidant protection simultaneously, resulting in clearer more beautiful skin with no discomfort or downtime. Suitable for most skin types, including thin or aging skin, ethnic skin and dry or oily skin. The ultimate in mechanical exfoliation. Diminishes fine lines, wrinkles, residual scars and uneven pigmentation using micronized crystals or choose diamond tip microdermabrasion for treatment without the crystal. This process strengthens collagen and elastin formation resulting in more youthful looking skin. Pamper yourself with this results-driven facial. This treatment is a double exfoliation that really makes a difference! We start with a mechanical exfoliation that will diminish fine lines and wrinkles. We then choose from any number of acids as a 2nd exfoliation that will customize the facial for your skin type. In Winter months, cold air lacks humidity and dries up the natural oils in our skin. In addition, skin loses 25% of its ability to hold moisture in winter months. This facial uses organic products to help shed dead layers of skin and dense plant extracts full of essential oils and fats to protect the skin and seal in moisture. The result is beautiful, healthy skin. This Revolutionary treatment specifically addresses Rosacea-like redness and skin irritation. Using genetically flawless bovine skin stem cells to human skin, we are able to soothe inflammation and strengthen the skin’s barrier function for maximum relief. This therapeutic facial cools skin on contact, instantly alleviates redness and sensitivity and restores hydration and suppleness. Improvement for all skin types experiencing breakouts. Exfoliating natural fruit enzymes dissolve impurities to deep clean pores, improve skin clarity and reduce acne blemishes. We use a special masque that is rich in antioxidants to combat the damaging effects caused by free-radical activity. This facial leaves the skin with a healthy, vibrant glow. A deep cleansing facial especially designed for men. This facial uses all natural organic products that will help to combat the effects of daily shaving while leaving skin fresh & clean. This facial will both treat and relax. Fruit enzymes power away dirt and impurities to keep skin free of grime and remove dead skin that is past its prime. Specific enzymes have been proven to have potent anti-inflammatory properties. All the ingredients used in this facial are pure, natural, chemical-free, and preservative free. The ingredients provide superior therapeutic benefits and rapid transformation for skin rejuvenation. This amazing facial begins with a honey-almond organic yogurt scrub followed by a microcurrent treatment to lift and firm facial muscles. Next is a facial massage with a concentrated Seaweed Serum of Multi-Vitamins. Finally a powerful European seaweed mask to rejuvenate, tone & firm the skin. Presto-chango! Your beautiful, plump, firm & vibrant skin is ready for prime time! Restore the luminous glow you used to know with this luxurious multi-active facial. It’s the ideal antidote if you are plagued by a combination of dry skin, fine lines, loss of elasticity, dullness and perhaps even occasional hormonal breakouts. Advanced collagen building technology boosts elasticity and resilience to reduce the appearance of medium to deep wrinkles while gentle exfoliators clear skin of dullness and stimulate cellular turn-over. Luxurious and lasting hydration restores suppleness, texture and tone. After one treatment, you’ll see that youthful glow. This refreshing facial treatment is specially designed to refresh, brighten, tighten and illuminate the appearance of the skin for a complexion that is youthful and radiant. Do you want to look fabulous immediately? This is the treatment for you. This Intensive Dual-Phase system infuses skin with a professional blend of Murad’s proprietary Retinol Tri-Active Technology, paired with an exclusive exfoliating formula that visibly minimizes lines and wrinkles, firms, evens skin tone while boosting radiance to reveal more youthful-looking skin. This advanced anti-aging facial dramatically reduces the appearance of wrinkles while significantly increasing skin firmness. We use a Firming Masque that is abundant in natural botanicals, phytonutrients, proteins, and enzymes extracted from fruits and vegetables harvested from Mother Nature’s healing garden. The facial stimulates and supports the cell renewal process for vibrant skin health and enables vital nutrients to be quickly delivered to the skin’s target areas most in need of revitalization. 100% Organic. This comprehensive, anti-aging facial is the ideal treatment to defeat wrinkles, loss of elasticity & pigmentation and will rapidly resurface and rehydrate your skin. Includes an instant eye-lift masque to hydrate and firm the eye tissue and a cooling masque to soothe the skin all over. 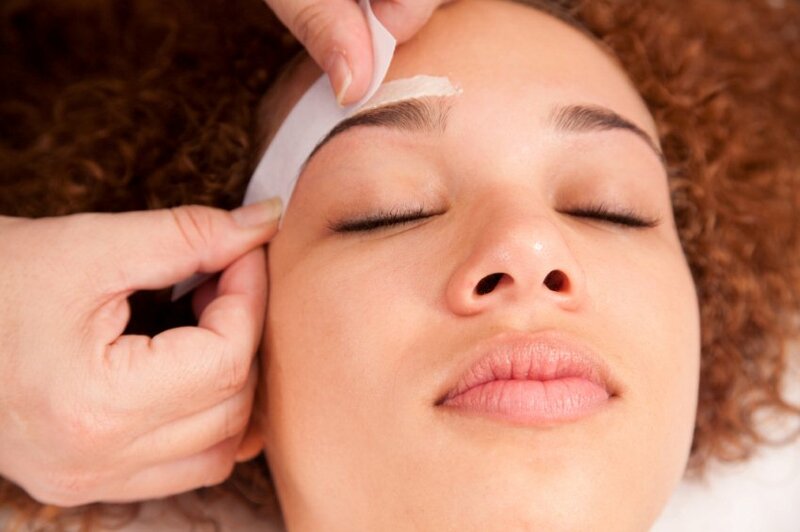 The use of microcurrent adds an additional lift to the skin in this 75 minute facial. Transcend aging by introducing genetically flawless bovine skin stem cells to human skin to FIRM, TIGHTEN & LIFT. The specialized serum has an abundance of fresh frozen collagens, EFA’s, proteins, minerals, vitamins, elastin and hyaluronic acid. The F-Ampoule Facial was created to protect, correct and rejuvenate skin that has a laxity due to photodamage and premature aging. The H-Ampoule Facial is the answer to mature, dry, dehydrated, environmentally stressed, premature aged and photodamaged skin. The DNA Custom Organic Facial uses ingredients that are chemical & preservative free. 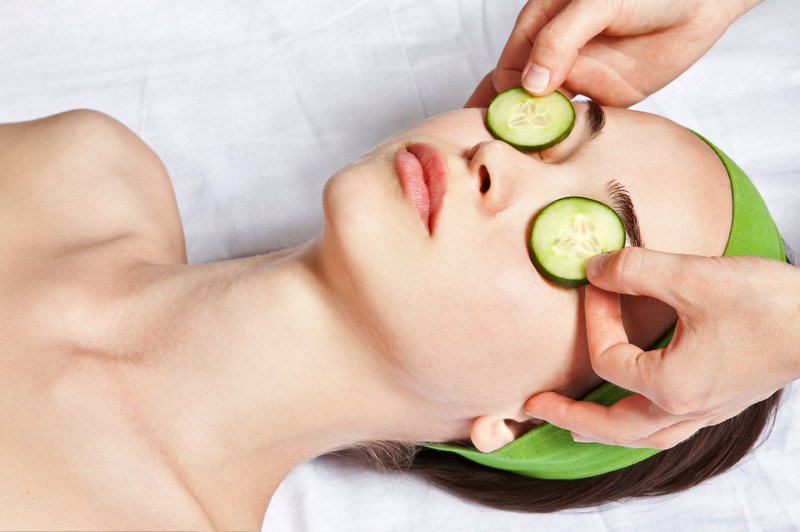 Each carefully selected product in this facial is pure and fresh, and customized to your skin type. Using the benefits of ionic chemistry, this facial will leave your skin Radiant. This Ultrasonic Facial is the new generation of microdermabrasion or what is being called soft peeling. The Ultrasonic Facial also dramatically lifts & shapes the face. There is no redness or downtime with this treatment. With up to 28,000 cycles per second, this facial offers amazing retexturizing & lifting results that are safe & gentle. It’s no wonder celebrities have become insatiable consumers of ultrasonic facials, especially during awards season. The newest skin resurfacing technique! (1): The Dermafile, is a skin polishing & resurfacing tool made of stainless steel and finely crushed cosmetic diamonds. This file will lightly polish the skin by hand, removing the top layer of dead skin cells, and leaving velvety smooth, fresh, rejuvenated skin. Dermafile is very effective for treating aging and sun damaged skin, scars, acne scarring, pigmentation, stretch marks, fine lines and enlarged and clogged pores. Dermafile builds collagen and will not cause damage to the capillaries on the face. This dual-phase treatment detoxifies, fortifies and resurfaces while energizing and oxygenating the skin to reduce signs of photo –aging, including fine lines and wrinkles. Radio Frequency (RF) is advanced technology. RF works by delivering gradual energy to the skin, causing heat to build up where the skin and fat layers come together. The heat modifies the collagen deep inside the skin causing fibers to contract and stimulating the growth of new collagen. The result is firmer, tighter skin. 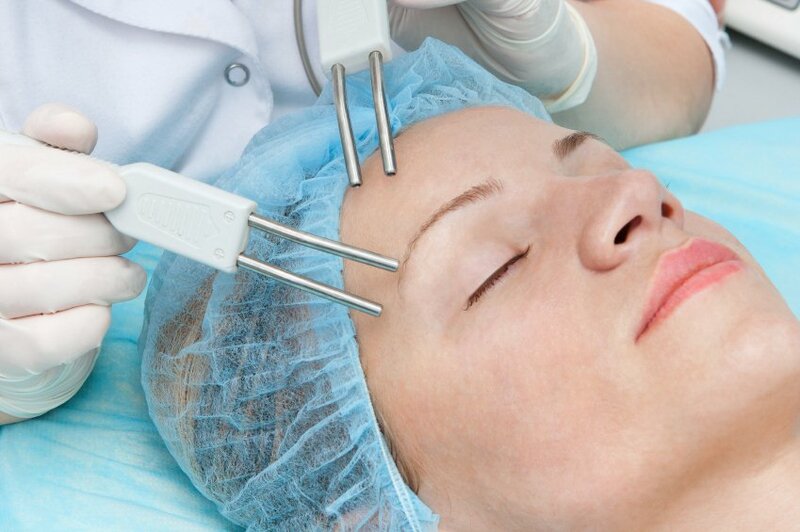 Microcurrent (Electric Facial) has been in practice for hundreds of years. On a muscular level, microcurrent acts like a personal trainer to tone and shorten muscle fibers. There is serious anti-aging action going on! A circuit of current travels from one point to the other and “stimulates” the tissue in between. All the client feels is a slight tingle. This treatment includes a full face chemical peel prior to the Microcurrent. The latest trend in facial firming is a combination of manual techniques, equipment based procedures and topicals that, together, can achieve noticeable results. We start this treatment with a double exfoliation; a mechanical and a fruit acid exfoliation. After this we use Microcurrent. Followed by Radio Frequency. We then apply Cryo cell therapy. This enhances the face by lifting and contouring the jawline, drooping eyelids and by sculpting the cheekbones, while relieving puffiness and increasing circulation. This treatment rejuvenates facial muscles by re-educating the muscles, increasing cellular function, skin tone, texture, and circulation. Regular massage can make valuable contributions to building overall health. Massage improves body tone and circulation, relieves stress and strain, strengthens the immune system, and promotes both physical and psychological well being. A blend of Swedish and Circulatory massage strokes that promote relaxation. This massage enhances circulation, induces relaxation and calms sore muscles to melt away stress. An ancient healing art using a blend of essential oils combined with a gentle, effective massage. Experience our specialized aromatherapy oils to enhance energy, relaxation, purification, muscle relief or body tone. Because your body can change on a daily basis, our massages can be customized to your specific needs by our staff of highly trained massage therapists. Elements of Swedish, Deep Tissue, Reflexology, Cranial Sacral or Hot Stone Therapy may be individualized for your needs. This gentle form of bodywork helps release compression in the head, spinal column, and sacrum to provide stress and tension relief. We promote this service to someone who is experiencing migraine, chronic fatigue, MTJ disorders, stress, and fibromyalgia. A focused, intensive, massage experience. You and your therapist will work together to identify areas of tension in your body needing additional care and attention. If your lifestyle is active or highly-stressed, this is for you. This specialized massage addresses the unique needs of pregnancy. We’ll settle you into a safe, secure and restful position then carefully ease away those aches and pains. Available during the second and third trimesters. This massage combines the experiences of healing human touch and hot stone therapy to center the mind and body as heat from the stones penetrates deep into the muscles to produce a state of relaxation like no other. Cannabidiol or CBD is derived from the stalk and seed of the cannabis plant. It is a natural botanical concentrate that is high in CBD. We use a pure non-GMO hemp oil, unmodified and sourced straight from the hemp plant. It is extracted from hemp cultivated free of chemical fertilizers, pesticides, or herbicides in the foothills of Northern Europe. An excellent source of cannabidiol (CBD) without the psychoactive effects of tetrahydrocannabinol (THC). Cannabidiol (CBD) Oil, delivers a calming and anti-inflammatory effect when applied to the skin. It has long been known that, Cannabinoid/CBD Oil has the ability to reduce inflammation, relieve anxiety, suppress muscle spasms, & promote healthier skin. For Centuries, spa body treatments have been embraced for their revitalizing and therapeutic effects. These treatments detoxify your body, de-stress your mind and revitalize your skin. Body wraps have been used for centuries for their deeply relaxing benefits to the body and mind, as well as for detoxification and relief from water retention. Every body wrap includes a vigorous dry brushing to loosen dry skin and stimulate the lymphatic system.You are then swaddled in a therapeutic, aromatic cocoon of herbs specially blended to treat specific concerns. While snug and safe in warm blankets, you are well looked after by your skilled therapist to assure your contentment. Vitamin C is one of the most effective ingredients for repairing and preventing free radical damage that results from environmental exposure. After a thorough exfoliation to remove dull, dry skin, we apply to your body an infusion of pure vitamin C. Vitamin C is effective in restoring tone, elasticity and firmness to your body’s most stubborn areas. While you are wrapped in a warm cocoon to relax, your feet are massaged. This treatment is completed with a finishing massage using our Vitamin C Body Firming Cream. We recommend this treatment in a series, scheduled at weekly intervals. This treatment improves all skin types experiencing breakouts. Exfoliating natural fruit enzyme of papaya and pineapple dissolve impurities to deep clean pores, improve skin clarity and reduce acne blemishes. This treatment leaves the skin with a healthy, vibrant glow. Firm & Tone Body Treatment – This treatment improves the overall appearance of your skin by reducing the visible signs of cellulite and stretch marks while increasing firmness and elasticity. After a thorough exfoliation to remove dull, dry skin and prepare the body for treatment, we apply an infusion of pure Vitamin C to hips and thighs followed by a unique combination of ingredients scientifically formulated to minimize imperfections and nourish skin. This breakthrough treatment is offered in a series, includes Firm & Tone Serum & Body Peptide Cream. Lose 4-14 inches in one hour. This all-natural body contouring process cleanses the body of toxins stored around fat cells, skin, and soft tissue. Cells become more compact and skin and tissue tightens resulting in smoother looking skin and inch loss. The ultimate in mechanical exfoliation. The process strengthens collagen and elastin formation resulting in more youthful looking skin. Pamper yourself with this results-driven body treatment. Electric facials are on the menu everywhere from Perricone’s New York spa to Four Seasons hotels to Elizabeth Arden’s Red Door salons. Electric facials are on the menu everywhere from Perricone’s New York spa to Four Seasons hotels to Elizabeth Arden’s Red Door salons. “Professional-grade microcurrent machines emit a positive and a negative current via two wands or probes. When the probes are placed a few inches apart on the face, a circuit of current travels from one point to the other and “stimulates” the tissue in between”, Dr. Perricone says. The current is subsensory, which means all the client feels is the gliding of the rods and perhaps a slight tingle. Clients often fall asleep midfacial. With the right expertise and professional-grade microcurrent, you can dramatically shape the face. It’s no wonder celebrities have become insatiable consumers of electric facials, especially during awards season. At Coastal Skin Care, we have designed our own “Big Lift” procedure. Call Today to experience this truly remarkable treatment with remarkable results! Try the Micro-current Quad today. Ultrasound Cavitation is a revolutionary fat reduction and body sculpting treatment that offers a safe, painless, and non-intrusive way to remove unwanted fat deposits. Ultrasound Cavitation is a natural phenomenon that sends multi-directional acoustic waves directly to the fat cells, bursting the outer cell wall, leaving non-adipose (fat) tissues unharmed and untouched. • Treatments are 20-30 minutes long, depending on the body area. Ultrasound Cavitation appointments consist of treatment time & health advice personalized to you. • Treatments do not hurt, and are safe. • You will feel a slight prickly warmth on the treatment area and may hear the specific noise of the Ultrasound machine in your ears, but clients do not usually find this uncomfortable. You can return to work or normal activities straight after treatment. Tripolar Radio Frequency(RF) can be used with Ultrasound Cavitation to tighten the actual skin, eliminating cellulite and wrinkles. RF works by delivering gradual energy to the skin, causing the collagen fibers to contract and to start stimulating the growth of new collagen. This results in firmer, tighter skin. • Drink at least ½ gallon of water before your treatment and another ½ gallon in the day after your treatment. • Do not drink any alcohol or caffeine in the day of treatment or 48 hours after. • Use Dry Skin Brushing daily to stimulate lymph movement. The Micro-channel Skin Treatment is a simple, minimally invasive way to successfully treat unsightly upper lip lines. We start with a Peel of your entire face including the upper lip. Then we micro-channel the upper lip line with a disposable head that houses 351 comfortable micronized needles & then follow this with frozen cryo- therapy which replaces old cells for new cells. Normally $175 – Best done in a Series of 6! Radio Frequency is being heralded, in the medical world, as the panacea to skin rejuvenation treatments for the majority of those who are concerned about keeping the physical aging process ostensibly at bay, without recourse to drastic surgical-action. It is one of the safest and least invasive, yet effective, anti-aging treatments available, to people of all skin colors. Radio Frequency is an advanced technology. RF works by delivering gradual energy to the skin, causing heat to build up where the skin and fat layer come together. The increasing heat modifies the collagen bundles deep inside the skin, causing the collagen fibers to contract and, because they believe they are undergoing a trauma, they start stimulating the growth of new collagen. This results in firmer, tighter skin. What is TriPollar RF Technology? TriPollar™ RF is the 3rd generation RF technology. It uses multiple electrodes to deliver the RF energy under the skin. For the first time, a safe, energy-based system that combines controlled heat deep into the skin while preserving the superficial skin. Earlier types of RF technology either penetrated too deeply into the tissue, which can be painful and may result in surface burns, or they deliver heat too superficially which limits their clinical benefit. Wake up to beautiful eyes every morning, with little to no maintenance.Eyelash extensions offer a natural look that other options such as strips and tabs cannot.Whether you want a glamorous look or a more natural look, it will have everyone guessing what the big difference is. Waxing is removal of unwanted hair. 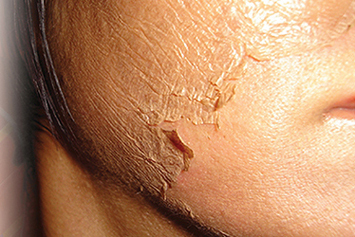 It is not “permanent” removal, but the effects will last approximately three weeks. When the hair does grow back, it usually is thinner and finer than before. We use only natural waxing products with ingredients such as lavender, green tea & aloe-vera. Our prices are based on 15, 30, and 60 minute services. The prices may increase if the allotted time is exceeded. The most beautiful cosmetic you can wear is healthy skin. That’s why we have chosen to use Jane Iredale make-up. This micronized mineral is not just a refinement of normal make-up; it is a new technology! So effective, it is recommended by plastic surgeons, dermatologists, and skin care professionals. At last, a make-up that is good for the skin…and it looks natural! Colors chosen just for you by our professional make-up artists. Note: one month pre booking required if make-up application is “on location” – mileage may be an additional charge – call to confirm. Coastal Skin Care offers a wide range of superficial chemical peels using alpha hydroxyl acids (AHA’s), TCA (trichloroacetic acid), salicylic acid, resorcinol, retinol, tyrosinase inhibitors, antioxidants and polyphenols to address a wide range of skin types and conditions. These peels speed up the natural exfoliating process and enable the new, healthier cells to come to the surface. By removing dull and damaged surface layers, the result is a healthier and more youthful appearance. In addition, they will address problems of hyperpigmentation, acne, surface lines and wrinkles, with little or no “downtime”. While various peels produce good results on their own, these treatments can be enhanced by using them in conjunction with Microdermabrasion, either on the same day or several days after. We will be happy to customize your treatment based on your skin type and your needs! Series of Chemical Peels – Purchase 6 & receive 10% off!